Ability Text: All creatures have protection from red. 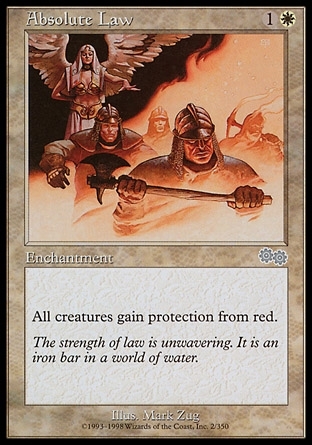 Flavor Text: The strength of law is unwavering. It is an iron bar in a world of water.